by David Schreiner "Coming to therapy is the highlight of my day"
Lori Jarrett shared this story with me and I knew you’d appreciate reading it as well. Thanks to the Rehab Services Department for taking such great care of our patients. As I was returning to the department, I saw one of our patients in the waiting area and had the opportunity to visit with him. He stated that he wanted me to know what a great department we have. He stated that because of his care plan he needs therapy every day of the week, so has the opportunity to work with 4 of our staff, and expressed how great he thinks that they are. And then he said, but it’s not just them. “Everyone is so friendly. And I observe other staff working with patients and they seem to do such a great job. I wish I wouldn’t have had to have surgery, but coming to therapy is the highlight of my day.” Every time I hear something like that it re-motivates me to do the best I can do for our patients. Thanks to all of you so much for doing the great job that you do each day! It is so nice to read a story from a patient that looks forward to coming here each day! This is a great reminder that as KSB employees, the way we treat our patients, family members and co-workers really does have an effect on the lives of others. Hats off to the Rehab. Services Department! I just wanted to say that i was very proud of my department. 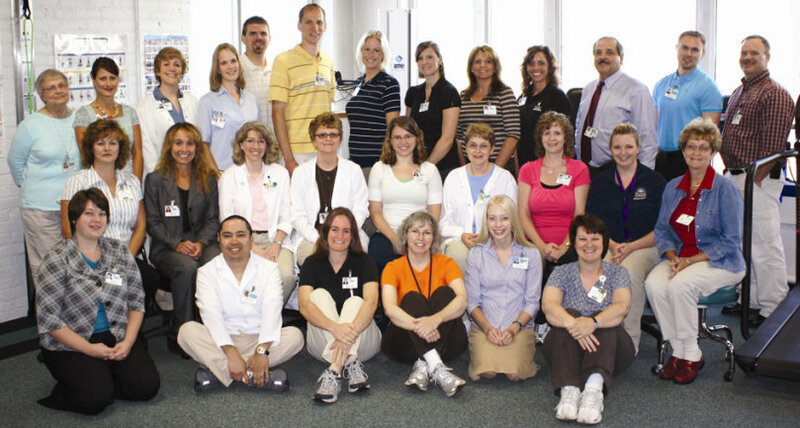 They are indeed some awesome people, and they are so involved and compassionate with their patients. I just wanted to remind people about the use of perfume and colonge. I have been stuck in an elevator and the only restroom on the floor after someone sprayed themselves. After which I need to rush to my locker for my Benedril, so I can breath again. Please do this at home.